The Third House is commonly referred to as the House of Communication. In this house, much of the communication is going on between the individual and those he or she holds close: brothers and sisters, as well as neighbors. While communication here can be both written and verbal, it also has a conscious quality to it. Think about kindred spirits and mental connections. This serves to highlight the role of intelligence within the Third House. Intelligence, as viewed in this realm, is the analytical ability one possesses within his or her environment, specifically a basic grasp of things and a practical sensibility. We use this intelligence to help us work effectively within our world and with those in it. The Third House reminds us that it’s okay to use our conscious skills, as well as a more reflective intelligence, in order to make our way. A symbiotic relationship with those we hold close is also part of the plan. Let’s not forget that our minds are powerful, quick and dexterous. Some things will be well-thought out, others nearly automatic. Maximizing our sum potential is the key. Early education, effectively teaching us how to think and communicate, is also covered by the Third House, as are short trips. Again, the proximate nature of travel speaks to the intimate nature of the Third House: those we know well, in our environment, keeping that environment tight. Harnessing our intelligence and sharing it effectively with others is the essence of the Third House. How do we best state our case with others, often those we love the most? Will our actions be true to our environment, and our planet, for all time? This brings to the fore emerging forms of intelligence-gathering, such as computers. Will they make or break communication as we know it? The questions posed by the Third House can be answered by listening to that house: think, process, share. It’s the nervous, stimulation-seeking house of Gemini, and dictates how frazzled or settled we appear when engaging socially. The sense of being wired to community, and the greater world, comes across from the flavor of this house. The potential found here is our ability to take in what we learn, and share it with others. 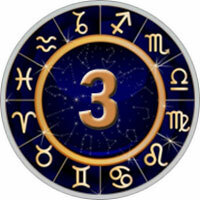 The Third House is ruled by Gemini and the planet Mercury.